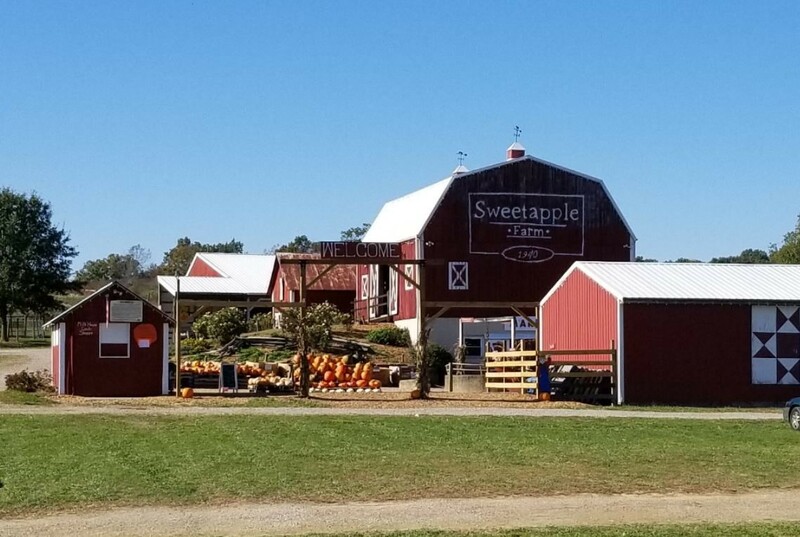 ﻿ Sweetapple Farm - Ohio. Find It Here. We provide tours on weekdays, evenings and host events in our barn during public hours. We are open most of the year, depending on your event. Please call for details to reserve the farm for your next event!Note: When you come to Sweetapple Farm, long sleeves and long pants with no opened-toed shoes should be worn on your adventure through the corn maze.The Ag-tivity Center is the chance for everyone to have a little fun and learn about farmers and what they do. Where does food come from? Why does a cow sit around and chew like she has gum in her mouth? (and if she has gum, why doesnt she blow bubbles?) How does a cow make milk? How in the world do they get thick butter out of that liquid milk? These and more questions will be answered for all with fun milk mustache posters, games, coloring, butter making (display only) and more.Food is available at different times of the year for different events. We will list details of food items as time permits! Most of the time you can get a cold soda and snack. In autumn, you can get coffee, hot chocolate, cappuccino, and much more!